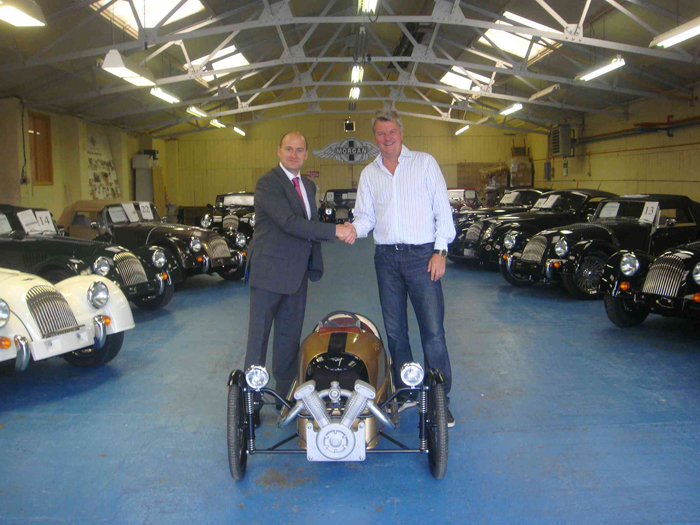 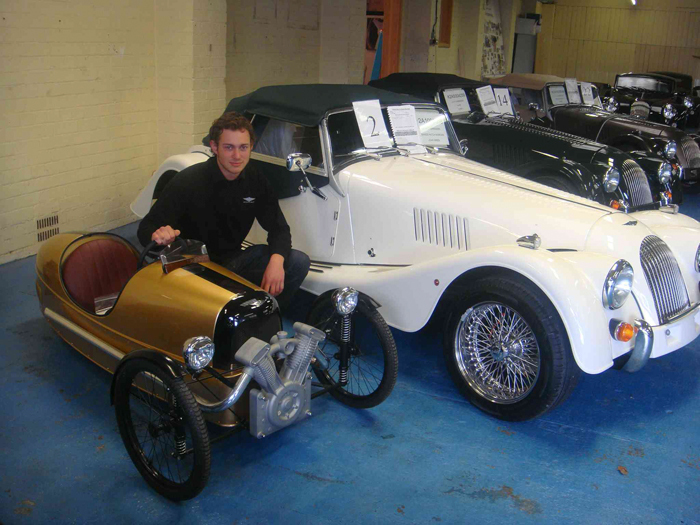 On Wednesday 4th July Simon Diffey took delivery of his Morgan Pedal Car chassis No 117 from designer Jon Wells who dubbed the car “ Mog Rod’ due to the Diffey Brothers Racing team colours of Gold with a Black stripe. 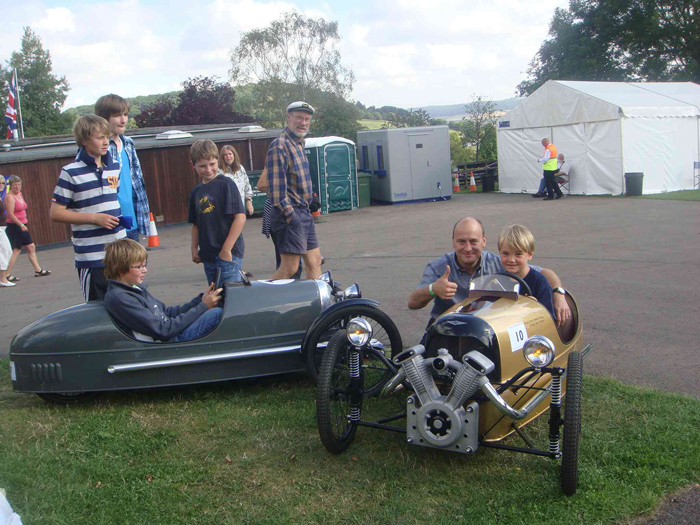 The car was immediately entered it for the following weekend at the Vintage Sports Car Club’s Prescott Hill Climb in the Children’s Pedal car class. 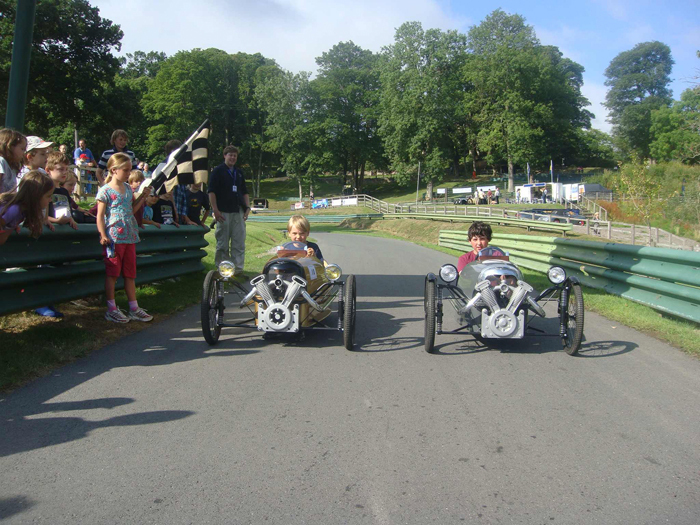 From a grid of 22 vehicles including a series 1 Land Rover the Mog Rod was only narrowly beaten by Archie Collings driving a 1920 Zust, third place went to Morgan team mate Louis Parkin driving the grey Morgan protoype chassis No 001.